Epping Electrical was called to a home in a northern suburb of Melbourne March this year to investigate high electricity bills. The owner told us they were receiving bills of over $1000 per month, they had been in discussions with their electricity retailer for over two years who concluded that the situation was simply due to the high use of electricity by the owner. A suggestion was made to the owner to have the home electrical system checked as another possible cause. We did check the installation and found the two-bedroom unit had floor heating install in all the rooms. The floor heating was controlled by a timer within the main switchboard. We did identify the timer had been incorrectly set, this was adjusted to ensure the floor heating elements only came on during the off peak hours. 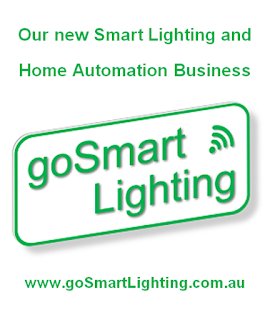 Whilst the owner was pleased that something was identified at last, the owner was sure something else must be wrong as the electricity bills continued on average to be over $1000 per month even over the summer period. Our attention now focused on the bills and the electricity meter. The owner explained that the meter had been checked before and was told it was operating correctly. We decided anyway to confirm the meter readings and check these against the electricity bills. What we uncovered would explain everything. We had found that the electricity meter has three registers that tally kilowatt hours. One counts the kilowatt hours used during the peek period, another counts the off-peek period and the third is the total of the two or in other words, total usage over the 24hour period. We found that instead of the first two registers finding their way to the bill, we confirmed that the total kilowatt register was being added to the bill in the peek section. This means that all off peak usage was being correctly billed at off peek rate but it was also being billed at peek rate. Unfortunately, this was not the end of the story. We thought this would be a simple matter of contacting the electricity retailer and explaining the situation. When we called the electricity retailer they would not accept our findings. Instead they would send out their own expert to investigate. Weeks would pass before a report was issued. It explained that the high energy usage was due to the fact that the floor heating requires a timer and the owner should have an electrician install one to resolve the problem!! The electricity retailer now was satisfied everything was correct and it was the owners issue. They demanded the electricity bill now more than $20,000 be paid. We attempted to contact the retailer a number of times, they refused to listen and said this is now out of their hands and could do nothing. We decided to contact the electricity distributer in the area. We spoke to at least three people who simply did not know enough about metering, after a few days we got put through to someone that had worked with electricity metering equipment for over 20 years. We explained the situation to him, he agreed to look into this. After an hour he called back to confirm we were right and the billing team would be calculating the correct electricity costs over many years. This would result in a significant refund to the owner. I personally had the pleasure to inform the owner of the great news. This experience for me was often frustrating but ultimately rewarding. 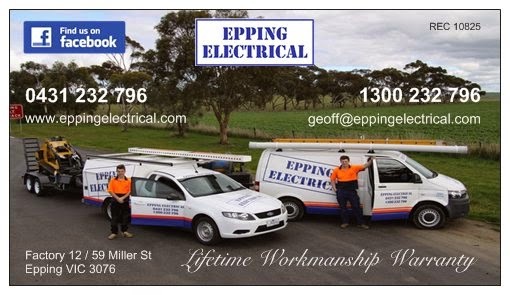 At Epping Electrical we are driven by doing what is right and assisting our customers however we can. Its our hope that electricity companies will see this as a lesson to improve the service they provide to their customers. Names of involved parties have been intentionally withheld.